The respiratory system is a complex network of muscles, passages and tiny brachial tubes, all of which act in conjunction in order to allow the normal intake and expulsion of air. If just one of those parts breaks down, the entire process can come to a halt with potentially disastrous results. Breathing issues usually center around one of several problems including congestion, coughing, improper muscle function and closing down of the airways. There are a number of herbs that can be used to combat these issues and promote good respiratory health. Eucalyptus – this plant, native to Australia, makes up the entire regular diet of the koala bear but there is so much more to it than that! The refreshing aroma of eucalyptus is often used to promote clear breathing. Eucalyptus is particularly useful for soothing throat irritation, so much so that it is a common ingredient in many throat lozenges and cough syrups. 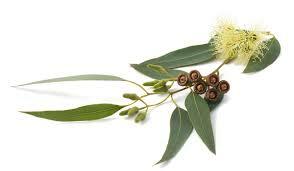 The healing properties of eucalyptus stem from a substance it contains called cineole. Cineole is a powerful expectorant that helps to clear congestion and restore normal breathing. Oregano – a staple of most kitchen pantries, this herb contains many vital nutrients and vitamins. It also contains a pair of substances, carvacrol and rosmarinic acid, that are not only natural decongestants but also work to reduce the body’s level of histamines, the substances that cause sneezing and other allergic reactions. Oregano is wonderful for improving nasal air flow and soothing the respiratory tract. Peppermint – along with peppermint oil, the peppermint plant contains menthol, a soothing ingredient that helps to relax the chest muscles and improve breathing. Many OTC medications contain menthol for exactly this reason. Not only is peppermint a wonderful natural decongestant, it also has strong antioxidant properties that help to rid the body of built up toxins that can affect your ability to breathe properly. Lungwort – this is a flowering plant that gets its name because its blooms actually resemble lung tissue. The connection to the lungs goes deeper than that, however. Lungwort can help to clear the body of harmful organisms that can impair respiratory function. It also works extremely well to clear congestion. Lobelia – another beneficial plant, lobelia is actually considered one of the most valuable herbal remedies known to man. It has been used for years to breakup congestion by thinning mucus. It also stimulates the body’s natural production of epinephrine, a stimulant that opens the passageways in the lungs to ease breathing. In fact, injections of epinephrine are often used by doctors to help ease the symptoms of asthma attacks. These are just a few of the natural substances that can help you to breathe easier and fight off the effects of colds and allergies. If you want to keep your respiratory system functioning like a well oiled machine, consider these and other natural remedies. You’ll be breathing better in no time!